Cased, but with detachable handle missing. Case covered with faux black leather, with internal blue silk and velvet lining. Lid internally padded with blue silk and base fitted with internal recesses for the ophthalmoscope and handle, lined in blue velvet. No markings. Andrew Stanford Morton was an ophthalmic surgeon during the late 1800s, and is most well-known for his adaptation to the ophthalmoscope, the Morton-Pattern ophthalmoscope. 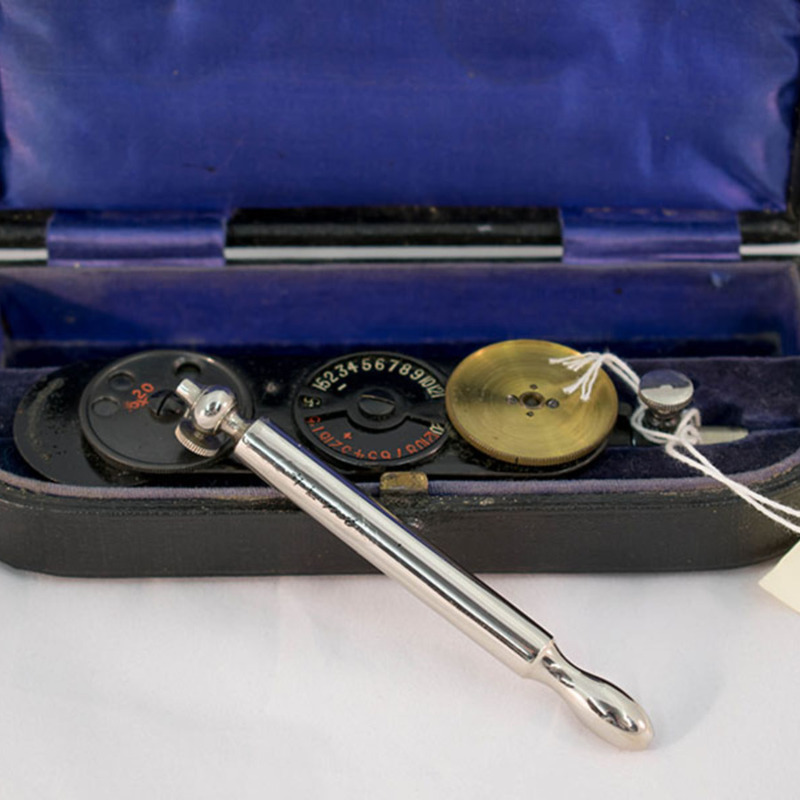 This design of ophthalmoscope would later be improved by the introduction of batteries to power the light source, known as the Lister-Morton ophthalmoscope. Wood, silk, velvet, and metal. Morton; Andrew Stanford (1848-1927); Ophthalmologist; physician, “Morton-Pattern Ophthalmoscope,” Heritage, accessed April 24, 2019, https://heritage.rcpsg.ac.uk/items/show/99. Description: Cased, but with detachable handle missing. Case covered with faux black leather, with internal blue silk and velvet lining. Lid internally padded with blue silk and base fitted with internal recesses for the ophthalmoscope and handle, lined in blue velvet. No markings. Andrew Stanford Morton was an ophthalmic surgeon during the late 1800s, and is most well-known for his adaptation to the ophthalmoscope, the Morton-Pattern ophthalmoscope. 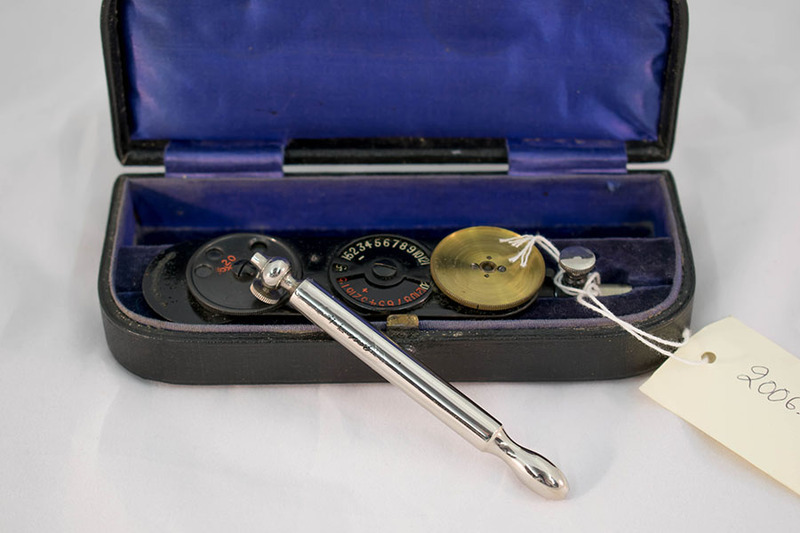 This design of ophthalmoscope would later be improved by the introduction of batteries to power the light source, known as the Lister-Morton ophthalmoscope.